Award-winning author and illustrator Jan Thornhill has a passion for nature that runs deep. 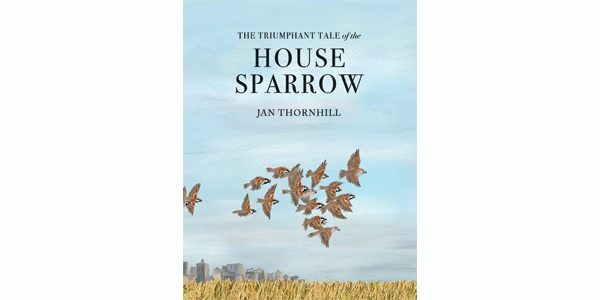 From her first picture book, The Wildlife ABC (1988), to this most recent title, The Triumphant Tale of the House Sparrow, Thornhill delivers sound science with breathtaking artwork and beautifully crafted words. The house sparrow lives alongside humans. It “cleans up after us” and eats pests on farm fields. Long ago, boys took jobs as “sparrow catchers,” in one of the many efforts to control its population throughout history. This “small brown bird” doesn’t seem a likely subject for a book. Humans have tried to get rid of this “despised” creature for 10,000 years, but – unlike the great auk, the subject of Thornhill’s 2016 picture book – this sparrow has proven extremely adaptable. The narrative traces the grain-lover’s prehistoric roots in the Middle East through its migration to India, North Africa, and Europe. Thornhill’s original, descriptive prose is well-researched and engaging, and accompanied by fascinating extras, including a distribution map and an illustrated life cycle of the species. Picture-book fans generally prefer hand-painted illustrations, but Thornhill’s digital artwork is captivating and gorgeous. Each scene features fine details and realistic textures, such as kernels of wheat, fluffed-up feathers, wide-open orange beaks, and birds in flight, all set against grassy meadows and cirrus-streaked blue skies. This information-packed book – exploring themes of conservation and climate change – ensures readers will gain respect for and understanding of this common, but triumphant, bird.